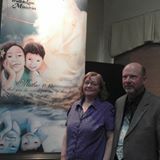 2 Billion people world wide need words and ideas to bring awareness concerning the cost and consequences of child abuse. Start a conversation! Change the world one person at a time by simply talking about it! Lets talk about the need for churches when life hurts the most! 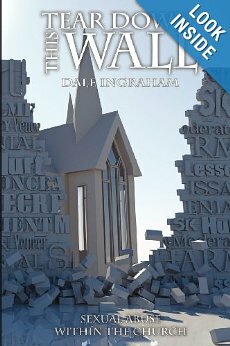 Dale Ingraham, is the Author of Tear Down This Wall This book exposes the sin of sexual abuse and gives clear guidelines in dealing with offenders, victims and their families. The author knows first hand how difficult it is to discover that someone you loved and trusted has betrayed that trust and has victimized many vulnerable individuals. He knows how easily one can be convinced that it is better to keep silent than to face the difficulties of exposing an offender and having to answer the questions that will arise from the community, families, and legal organizations. There are no easy answers, but these issues must be faced head on, in spite of the difficulties. Dale and is wife Faith travel the country presenting Seminars on several subjects, but tonight we talk about relationships, trust, and the struggles that Survivors can have finding and maintaining what it takes to be happy and at peace. Speaking Truth in Love Ministries addresses the difficult issues of Sexual Abuse and Domestic Violence within the body of Christ by: Raising Awareness about abuse: Doing Training on how to prevent abuse: Promoting Healing for those who have been hurt by abuse and Teaching people how to deal with abuse and hold offenders accountable. The show is live! Call in is encouraged and lines will be open (714) 816-4679 Let talk! I recently moved and, like anyone else who has ever moved, I came a cross a box I had forgotten about. Before I knew it I was lost in the past; reading and reading and reading and remembering. I sat there a couple of hours later shaking my head at a past that should never have happened to me or to anyone else. This time though I am reading it as a mere observer and I give many, many thanks to many years of good counseling and therapist and hard work for the ability to do that. It was still painful. I still felt the loss of a childhood I never had. It was not the trigger it would have been a few years ago. Therapy notes, letters, and many written words that never made it into my book, Can You Hear Me Now? made a surprise appearance in my garage that day! Just as the past makes its surprise appearance for survivors of child sexual abuse, physical abuse, and yes even war veterans everywhere. Post traumatic stress is for children too. There are approximately 315 million people in the United States and approximately 95 MILLION of them are adults “abused” as children. There are an unspeakable number of children experiencing what you are about to read. Children live this for years. Can you really turn away because it is too difficult to see? Hear? Acknowledge and say… NO MORE! I guarantee you looked at a child this week who is living with sexual abuse. I guarantee you looked at an adult who is sexually abusing a child. Did you recognize them? You would be surprised at who they are. This was written many years ago in counseling when I could not bring myself to talk aloud about my own life. I think it’s worth sharing. I waited in the dark. I feign sleep terrified of what the darkness will bring to me. I waited for the hushed viciousness of a voice that is no longer human to my ears. I waited for the face that becomes grotesque and monstrous in the dark. I waited, for hands that will crawl over my body like the slime of snakes and worms and rot. I consider poking my eyes out so that I can’t see when it comes into my room. I know it will come. I waited in the dark like a hunted animal sweating and shivering. It’s not cold. It’s summer. I can’t scream out for help as I hear more than see the door knob turn. I try but it dies, dry in my throat, not even a croak. And then, stealthy, it comes to me. I wait knowing there is no escape. I wait knowing there will be pain. I wait knowing no one cares. I wait knowing no one can stop this. I waited while it chuckles quietly at my compliance. Now I wait for the screaming I hear in my head to stop. We all wait for that. AS I SIT HERE thinking of this being the first Holiday without some family (blood and not blood family) members we lost this year it got me thinking. You know how you are so down and all of a sudden its like someone reaches out and speaks to you? Well, I believe exactly that just happened and she is telling me to write exactly what I am feeling and thinking. She is telling me my story, this story, the very one in my head will help someone out there. That person may not even be an abused child, or even a family member of one that I reach this time. This goes back to my childhood. A time when my family was dysfunctional. A time where spending holidays with both parents just did not happen. In fact spending time with my father ( I only remember one time) ended in a way I don’t care to share for this story. A time where behind closed doors things was different. Sure when it came Christmas time I remember my mother seeing to it us kids had Christmas. It may not have been much but she did. Yes I remember that Shaun Cassidy album, the purse that I wouldn’t carry today even though I thought it was gorgeous then. However, things with her wasn’t always remembered for that either. With all of this evilness I lived during my childhood though, and all that dysfunction there are things that I do remember and now it comes to me how blessed I was as a child. I don’t remember every holiday with my maternal grandparents and family. But I do remember the ones I cherished the most being with them. My grandparents, aunts, and uncles always seen to it (that) me and my siblings had holidays to remember. No they didn’t spend a fortune in material items, but they did in caring. It’s from this time in my life that I believe I learned to care for others. A time in my life that all the violence and yelling going on in our home just didn’t seem to matter. This is a time of my life that I became very grateful for growing up. On Thanksgiving and Christmas we would get together at my maternal grandparents. The house would be filled with meals cooking, laughter, children yelling with joy. The aroma you could smell from miles away in that home. Was a time when Aunt Dottie was still among us. I was the oldest, and most of my cousins was much younger than me. I loved being the oldest and playing with them, helping them in any way I could. Christmas was slightly different than Thanksgiving. Grandpa would drag out all the decorations and the train set. If it wasn’t already set up, my uncles would help him set the train set up. Grandma took take great pride in her nativity scene and manger. Those three items we always knew to never touch but our eyes always lit up seeing them. Grandpa would set all of us grand-kids around the train to watch for hours as it goes around and around. Everyone of us loved it, and for the first time sat there without moving. I remember certain gifts at that time in my life that to this day I cherish in my head. The books, crossword books, and diary that my Uncle Jim and Aunt Dee got me. I didn’t even care how much or how they got those items but looking back I do know they got them with love. I remember the year I was so into art and drawing. Aunt Janelle took grandma shopping to help pick items I could use. That year I got art supplies from my grandparents, Uncle Larry and Aunt Janelle. After opening them Aunt Janelle sat down with me and showed me a few tips on drawing. See Aunt Janelle has always been a great artist in our family. In fact among grandma’s house she took pride hanging Aunt Janelle’s work. Uncle Pat always would fix my plate and set me at a table to start eating. Before meals it was Uncle Pat that would help me sneak as many of those grapes as I wanted, no matter how long I ended up in the bathroom afterwards. Aunt Dottie and I was close growing up and each time she would walk in the door Christmas day everything stopped so I could run and hug her. Then rushing to get my cousins Teri and Chris usually getting told “Give her time to get their coats off”. It would usually end up me taking one of their coats off because I just couldn’t wait to get them in the living room to play. John, Eric and Brian was so close in age it was like the two of them was almost twins. Where you seen one you always seen the other getting into some kind of trouble. Aunt Janelle and Uncle Larry waited to have children and when they had Jennifer I remember my grandparents being so happy they finally was giving them a grandchild. She turned out to be the family ballerina. Then there was Shannon, Bradley, & Nathon that I just had to be a mother hen over. Each and every one of those holidays in that home to this day I remember and cherish and blessed to have the memories in my life today. No one can take those memories from me, and it shows me how even though I had a rough life, someone out there wasn’t blessed enough to have family that cared enough to show they just care. Even if it was for two days out of the year, it was those two days where there was no fighting, no yelling, no hitting, no nothing but caring. It was those two days of the year that brings me here today to say I was blessed to have someone that cared. I am sure they wanted to do more and couldn’t. Those two days of the year means more then ever to me today. Yes I always had my grandparents and if it wasn’t for them I don’t know where I would be today. However, those two days I would be taught to care for others. I would be able to pretend everything was okay those two days. I can now say when someone mentions how much I care for others, that I learned from not only my grandparents but my aunts and uncles. Something they all showed me back long ago when I was a young child. Back before we lost Aunt Dottie and everything changed. I can now tell abused children I come in contact with that no matter how bad things are, there are always someone that cares. I can only hope and pray that my siblings and cousins can remember just one second of these two days. I can only pray that they learned how to care and think of others feelings. 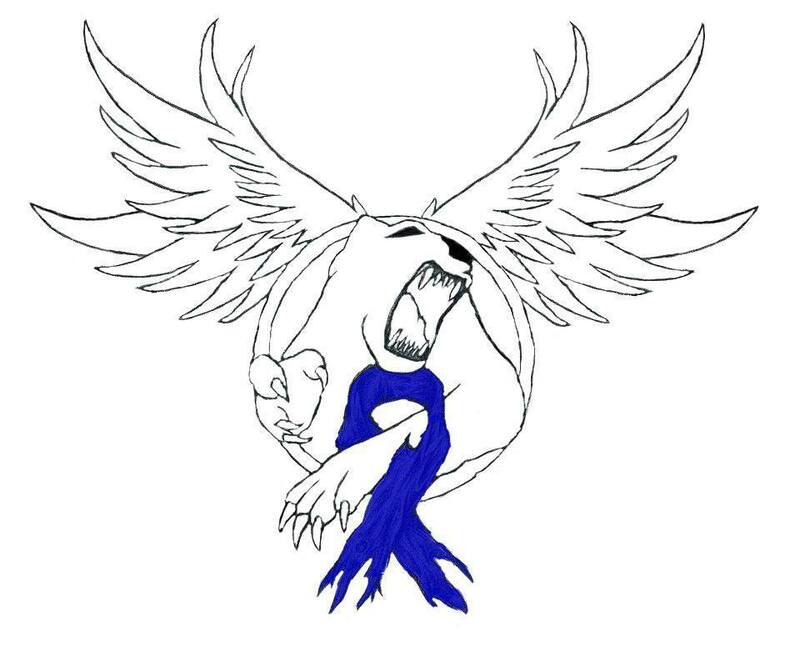 I can only pray other’s around me had just one second, just one memory of knowing somenoe cares. I can only pray everyone around me knows I care. But do know I have feelings as well, just as every caring person out there does. Don’t be so quick to take advantage or take for granted of those who care. There may be one of those days you wish for that second. Feel free to tag, or share this. For my wish this Holiday season is to let others know someone out there cares, as well teach a lesson in caring. Where did our roadmap into the future come from? Who taught us how to navigate? How to love? Who to trust? When to trust? Secrecy and keeping thoughts and feeling to ourselves became our true reality. Imagine yourself as a child, seeing the world through a child’s eyes, and then being introduced to a ferocious and violent act—an act that serves to not only damage one’s physical body and mental/cognitive mind-set, but also disrupt one’s spiritual being. And yes, it is all these things without being beaten. I believe violence compounds the problem. A neglected and abused child often develops a confused attachment style when they are raised in an environment of inconsistent or unavailable attention. This is especially true when the parent or caretaker is abusive, intrusive, neglectful or otherwise dangerous. These children can go on to become adults who make poor partners later on in life since they are prone to acting out against themselves or others. We (survivors) often have such high levels of abandonment and trust issues that without intervention relationships become caught in a revolving door of different version of the same relationship. Survivors of Childhood Sexual or Physical abuse also learn to ignore his or her own needs. As adults survivors tend to be fiercely independent and will not admit to needing others. Early training that our needs, wants and requirements don’t matter or are no importance are difficult to overcome, even when you are aware of the faulty thinking. There can be great frustration in trying to be perfect and not getting what you need, often times not knowing what you need. A relationship can then end in a self-fulfilling prophecy of the very abandonment the survivor fears most. Partners leave in frustration. Then there are your own children. Are you saying enough? Are you saying too much? Should you say anything at all? What are the boundaries? Who is showing me how to be a good parent? What if they grow up and never talk to you again? Relationships are based on how we attach to others. Expressing your feelings, ability to nurture, comfort and feeling connected. Some of us struggle with the connectedness part. If you spent your formative years running away from feelings that overwhelmed you, who tells you that you don’t have to run when you don’t even know your are still sprinting away from the very thing you want the most? http://sfhelp.org/gwc/wounds/bonding.htm is a marvelous self-help site that talks about the wounds you have as a grown wounded child. Instead of relationship issues many articles and those in the mental health field call it an attachment disorder. It’s a painful label. However it seems that without labels no one knows how to talk about what the problem is. I like to think about attachment/relationship issues and my dog. My dog, Simon, was a 15 month old rescue. He’d been poorly fed, abused and beaten up not only by the past owner but by the other dogs. Simon was on his way to being euthanized. No hope for him. He was terrified of people, other dogs, cats and even puppies. A look his way and he would cower and urinate where he stood. My heart went out to this creature. I bought him some chew bones, food and a ball. He stared at the chew bones. He didn’t eat. He didn’t know what to do with the ball. I stayed with him for those five days. He jumped when I moved. He watched everything around him and whimpered when my cat went to check out the house quest. I spoke to him quietly and played soft music in the background. I kept Simon. He will be 8 years old this month. I had him for two years before he let me scratch his belly. He learned to trust and he learned to love. If my English Shepherd can do, I have to hope we all can. We need to be able to set healthy boundaries, understand and respect them. It matters for our personal safety, and growth as well as healthy relationships whether it be family, friends, co-workers, or partners. We were given a bad roadmap to our future. Let’s lose it and get a new one. We’ve been alone too long. 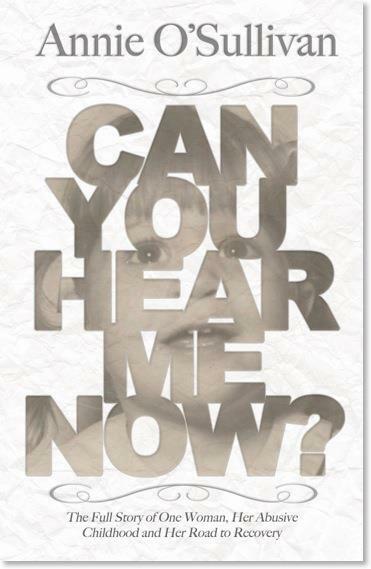 Author, Can You Hear Me Now? Greetings From The Desk Of Darlene J. Harris – Relationships And The Survivor of Childhood Sexual Abuse by Annie O’Sullivan.